So I find myself on a Great Northern train heading for Kings Cross writing a blog post on my phone*. What could go wrong? Quite a lot later after a few pints watching the rugby one suspects… Though I’m still amazed at how much fun it is to watch a steam train power through my local station. 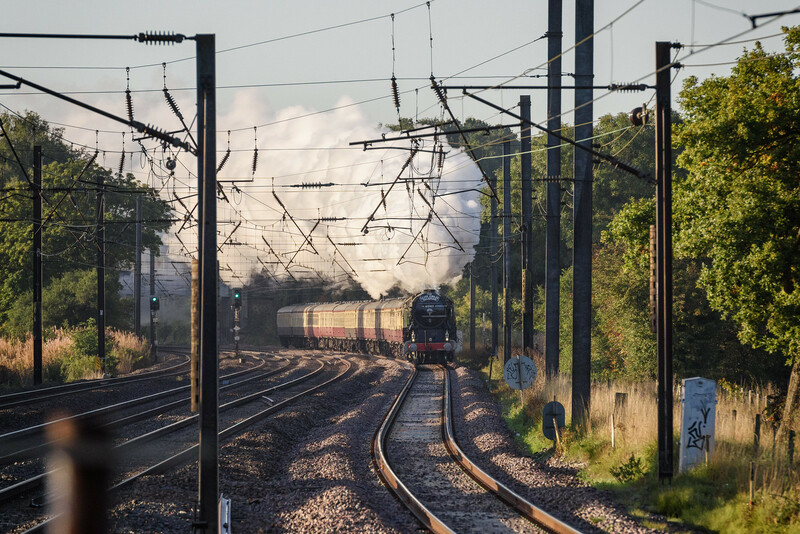 I had discovered that a steam service would be running up the east coast line to Newcastle upon Tyne this morning, so I headed to the station with my D810 and 70-200mm. I chose the D810 because of the bright morning light. I also packed my A7RII. 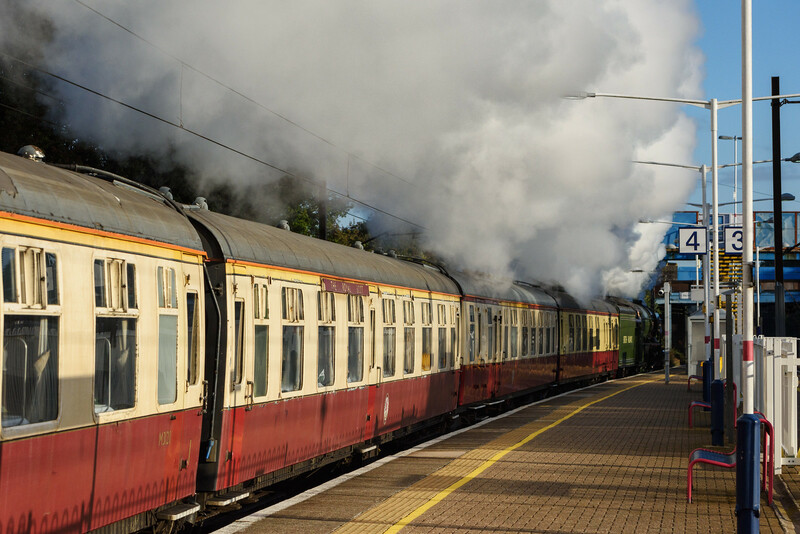 I was a bit bored of always taking train pictures from the opposite platform, so this time I waited on platform 4, where steam trains usually pass on the commuter platforms. This resulted in less dramatic shots but a more dramatic experience. I set up the A7RII on a tripod with the 55mm lens mounted and set up for 4K video. With the D810, I shot in aperture priority with a minimum shutter speed because the light was changeable. This was a mistake because I forgot to top out the ISO too, which sadly resulted in losing the highlights on the smoke on some of these. That said, I’m getting better at letting the D810 find its exposure rather than thinking I know best all the time. Actually all the way to ISO 4000 is very usuable on occasion. Getting back to the train, when it thundered into view it was magnificent. 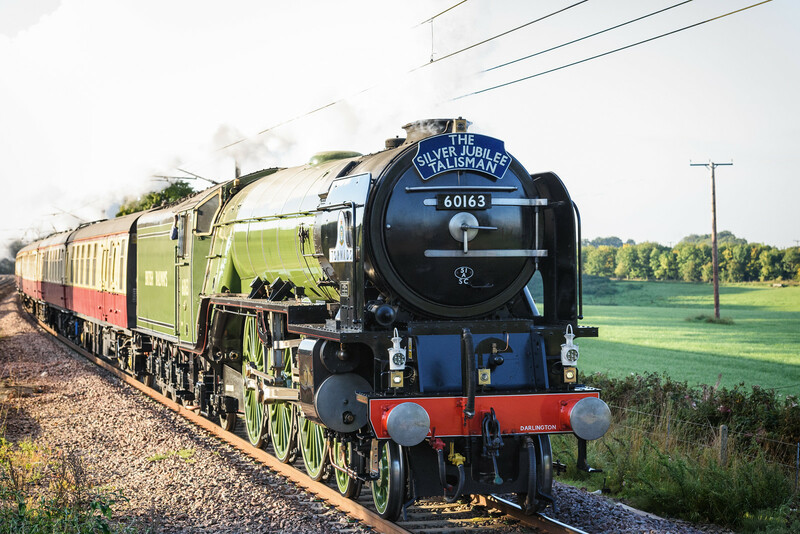 I’ve travelled on an orient express train pulled by “Tornado” and it’s an impressive beast. 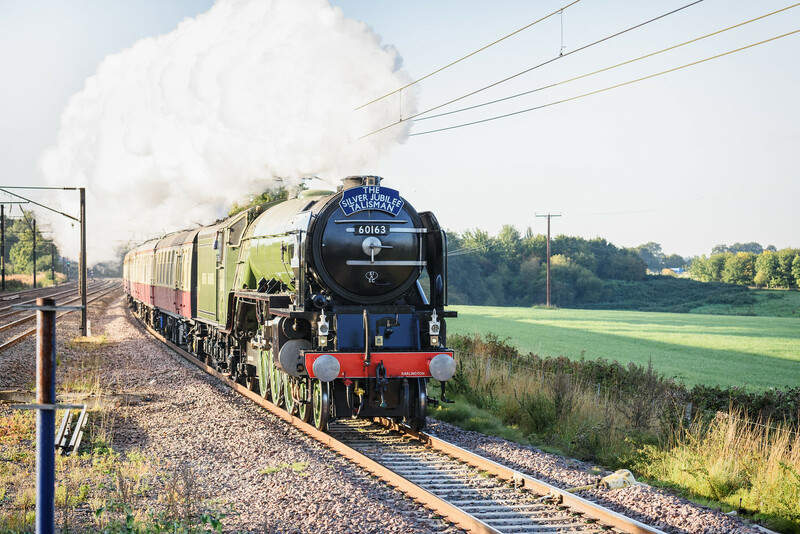 The locomotive is actually “new” having been built by enthusiasts from the ground up in the 90s and noughties. It took perhaps half a minute for it to go past, but it’s an experience that stays with you. Stills taken with my D810 and 70-200mm F2.8G VR II lens. Video taken with Sony A7RII and 55mm F1.8 Sony lens. 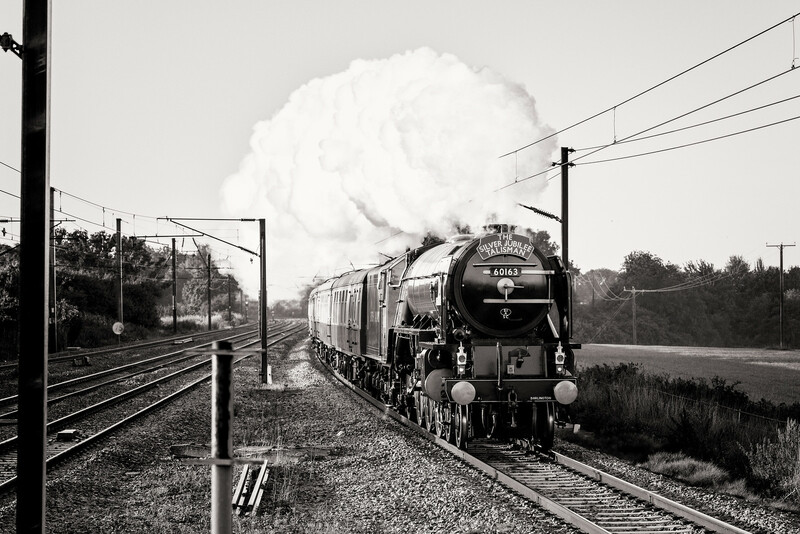 This entry was posted in Uncategorized and tagged 60163, Brookmans Park, engine, Locomotive, Nikon 70-200mm F2.8, Nikon D810, Sony A7RII, Steam, Tornado. Bookmark the permalink.